We saw these and just had to offer them to you. They’re hand crafted little hearts with a simulated mother-of-pearl onlay to give them a great shine and two little blades that fold right out from either side. Then there is the silver finish chain and gift box and a price of $8.95! Amazing item and just real cool for this price.They’re definitely handmade by someone in China and I wouldn’t bet my life on the cutting power of the blades, but, heck, for $8.95, they are very worth it. The CRKT Ripple introduces a new knife to the line, an economical version with aluminum handles and a linerlock. The original Ripple models are available in two sizes, one with a 3.125″ blade, the other 2.7″ and both feature titanium nitride coated stainless steel handles and a framelock. Designed by well known knife maker Ken Onion, the Ripple integrates the IKBS internal knife ball-bearing system for super smooth and fast opening action. All the handles are CNC machined with the ripple pattern as well as over 40 small holes to lighten the weight of the knife. 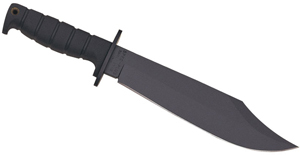 For a nearly 7.5″ overall knife, it’s extremely light at only 2.5 ounces. You can see this at www.knifecenter.com. Mantis Civilianaire Coin Knife- Revolutionary! Mantis Knives– one of the most innovative companies we have ever seen, produces a “revolutionary” product- the Coin Knives. OK, Revolutionary is a play on the fact that these are round, but they are, indeed game changing. They’re small blades that fold into the coin sized handles and can be carried in the coin pocket of jeans. Nobody really uses those pockets anyway, and here is a great use for them! 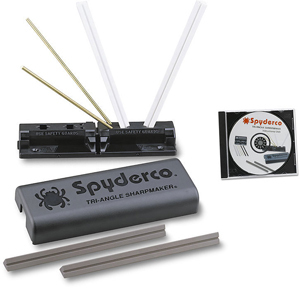 The blades are stainless damascus steel and the handles are G-100 Fiberware (G-10 type material). The blades come out hawkbilled style and are effective for opening packages or envelopes -ie 90% of the tasks for which most of us need a knife. The Civilianaire is based off a Warren Thomas Coin knife design. The coin knife is not a new concept. This version is beyond anything we have seen, however. So, these are easy to carry, are made of the finest materials and sell for a very reasonable price- what are you waiting for- order one now! Spyderco Knives released the Jester many years ago and we loved it then! It’s a small key ring type folder without a pocket clip featuring a mid-back lock. 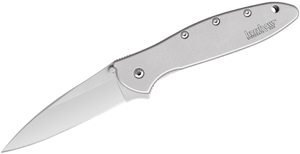 The original had a plastic handle, but this re-release features a gray color G10 handle. This is a limited release called a “sprint run” and so they will be sold out soon. Grab one if you like them. They make about the best key ring knife made anywhere.